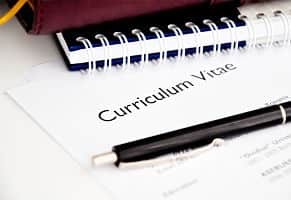 As a working professional, it is more than likely you have written and re-written your CV more than a handful of times – but if you’re re-writing your CV for contracting purposes it can be a little different. A standard CV tends to include a small bio about yourself, your education, work experience and skills at a minimum. For permanent jobs this way of writing CV’s works perfectly, but, as a contractor you are likely to need more information so that you stand out from the competition. A great way of finding contract work is through a recruitment agency, like ourselves, but whatever method you decide to use you will still be competing for that sought after contractor position. When it comes to contract work, recruiters and potential employers want to know if you have the relevant skills for the job. Make sure that your best skills are prominently featured at the top of your CV so that everyone can see what a great fit you are. As with all CV’s it is important to tailor your CV to the suit the role and company you are applying for. A generic one version copy of your CV won’t make you stand out. Where possible you should include the name of the company, the position you held and for what department – this may be time consuming, however, it could be the difference in you getting the contract. When talking about your previous work history make sure your most recent contract positions have the greatest emphasis. To save space on your CV don’t worry about focusing too much on older contracts, keep the detail for the most recent and relevant. As a contractor you need to sell exactly what it is you can offer. You are more likely to win a contract if you outline exactly what you can provide for the position. As with any CV it is absolutely essential to check over the document to avoid any mistakes. One little mistake could see you jump quickly from the yes to the no pile. Think carefully and check the format, layout and presentation as well as spelling and grammar – these are all key components to a killer CV. If you are new to contracting, you may be finding it hard to know what to put on your CV. However, just because you are yet to gain contracting experience it doesn’t mean you are not right for the role. Clearly state the previous permanent positions you have had, focus on the skills that these roles have given you and how these will make you an excellent contractor. Identifying your strong points and what it is that will set you apart as a valued contractor should allow for a smoother transition from permanent to contract work. Following these expert tips will ensure that you have a contract CV that stands out from the crowd!